This post will be neither how-to nor rant, neither philosophical musing nor observation. Instead, I’m going to offer a handful of pieces of news. I’m not sure that it’s anything yet polished enough to send to my mailing list, in case you’re wondering why I’m not making a rare use of that. I’d prefer to save that for more official offerings and announcements. This is just a handful of things I’d like to collect a bit of data on. I was recently invited to appear on Developer on Fire, a podcast hosted by Dave Rael. If you’ve never had the pleasure, I suggest giving it a listen. Dave has had quite an impressive list of guests, including Scott Hanselman, Uncle Bob, and DHH among others, so it was both flattering and fun to be added to the roster. If you want specifically to check out my interview, you can find it here. I won’t tip my hat with specifics just yet, but I will say that this isn’t the last podcast on which you’ll be able to catch me, so stay tuned! My wife and I have been toying with 4 Hour Work Week concept of merchandising a bit lately. In thinking about what we might be able to do together, combining the reach I have with her design chops, the thought of making something around the Expert Beginner emerged (my turn of phrase, her art work). I’ve also been obsessed with extremely comfortable T-shirts lately, having been exposed to the absolute pinnacle of T-shirt comfort in the form of Pluralsight’s 2015 Author Summit T-shirt. It is sublime. 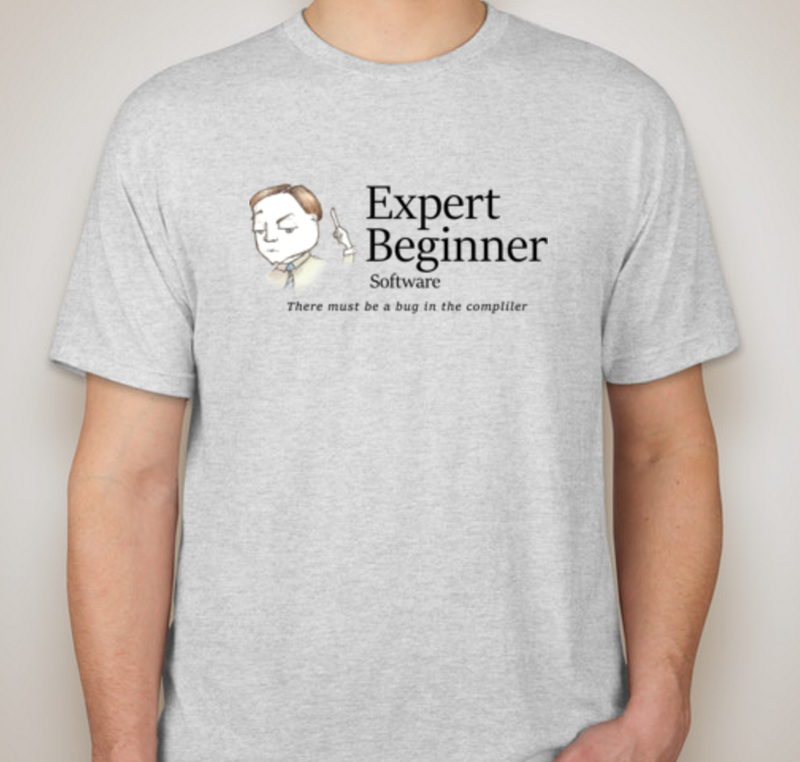 Long story short, we’re looking at making a comfy line of Expert Beginner T-shirts. 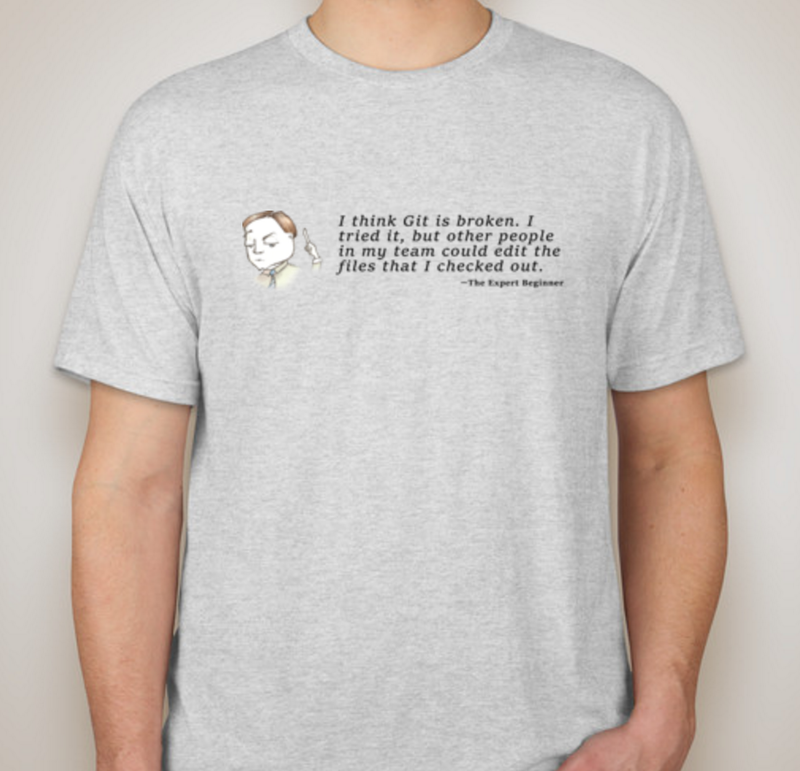 To see if anyone would actually want this stuff, we’re maybe going to do a kickstarter, but that requires a prototype, which we’ve narrowed down to 3 shirts. She and I were debating the merits of them, when she suggested we turn it over to a vote of potential customers. Here are the fronts and backs of the 3 candidates. So please, cast your vote for the one that you like the most. Here are your options. I bet that got your attention, though it admittedly sounds sort of gimmicky, ala, “how would you like to get rich doing nothing! ?” But, there’s really no catch — I actually mean it. I have more consultative and app dev work being offered to DaedTech than I can currently do on my own. If I want to continue saying yes to people, there have to be more humans than just me doing the work. Now, at this point, most people in my position would do one of two things. Either they’d reach out to friends and acquaintances frantically to try to keep up with the work, or they’d go to the bank with signed contracts as collateral, get a business loan, and proceed to schedule conversations with strangers to ask them about their greatest weakness and about why manhole covers are round. As for me, I am planning to reach out to people I know to see if they’re interested (or, if you know me, feel free to drop me a line). But as for the other stuff, meh. I don’t want to run a traditional app dev consultancy because that is not really in line with my life’s goals. As I’ve said before and will say again, I don’t want bosses and I don’t want employees — I just want partners. And then, of course, there’s the matter of a book that I’m writing about alternatives to the standard model and there are the blog posts I’ve written calling traditional hiring stupid. I’d be a pretty big hypocrite if I went the traditional route. I’ll start straightaway by saying that I don’t have a particularly cogent plan — at least not yet. I just remain convinced that they way we’ve been doing it simply cannot be the best or the only way, and I’m willing now to literally put my money where my mouth is. I want to start experimenting with better, more humanizing ways to scale software project work beyond individual freelancers. But before I get too far down the philosophical rabbit hole, it probably makes sense to gauge interest in this, which is my purpose here. Let me also lay out some rules of engagement for what I have in mind. Everything we’re talking about would happen either in a subcontractor or partnership setting. I’m not looking to make traditional hires. I want nothing resembling a job interview to occur at any point. Mutual fit assessment needs to happen some other way. I prefer a bare minimum of legal artifice and boilerplate. If you want to NDA all the things, you might not like the way I work. I don’t have all of the answers to any of this; it’s half process to define, and half gonzo experiment. If you can’t operate in environments of uncertainty, this also might not be for you. While I’m willing to extend the benefit of the doubt on competence, even to strangers, I don’t have time in my life for people trying to over-commit or to impress. W2 hiring is enough rigmarole that even bad hires who are just rent seekers can nestle in for a while before they’re put on PIPs and then fired. I don’t think that type of person reads this blog and would contact me, but even if that happened, it’d be a non-starter. I’m not running an enterprise big enough that even a day of non-performance would be insignificant. In short, I prefer to trust, but I need honesty about whether or not you’re suited for the work. If you pass on something as not in your wheelhouse, that will lead to increased respect — not doubt and dismissal. There is no guarantee whatsoever that I’ll wind up having work for everyone that writes or even for anyone at all. I’d love nothing more than to make the experiment a success and start a community of folks that can exchange and generate work. But I currently have no infrastructure for lead generation and am passively taking what comes, meaning my aim is not and has never been to generate as many contracts and as much work as possible. So if you’re still reading and you’re interested in potentially doing some project or consulting work with me at some point, or just interested in joining a community to explore what I’m talking about further please sign up. There is no commitment at all to anything by adding your email address here. At this point, the only thing that might happen is, if this gets enough traction, you get a Slack invite. Thanks for reading through all of these announcements and for reading the blog in general. A lot of times, it’s just me posting (ranting), so it’s always fun when there’s more vehicle for interaction. I definitely appreciate the community as much as the readership. 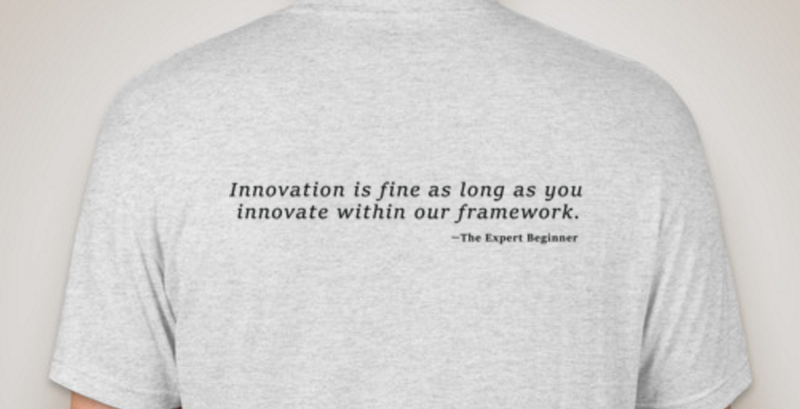 I love that… innovate within our framework! HA! I love the shirts and the opportunity to partner! Glad to hear it on both counts! Stay tuned for updates with the partnership piece (and the shirts, too). I’m pretty buried at the moment, but am hoping to review and figure out next actions in the next week or so. This feels kinda like a ‘hold my beer and watch this’ moment. I definitely don’t want to be left out. This sounds like an awesome idea and I’d love to be part of the experiment! Don’t suppose you have any updates? 🙂 I’m actually currently looking for something new and find the idea of freelancing intriguing, but really have no idea how to get started. My plan is to take the list of email addresses and send out some invites this week. It’s a little hectic because I’ve been on the road basically since this post went live, but I should be home and settled Thursday. Not sure what kind of turn-around time you need, but things will continue to move (at least, in fits and starts). 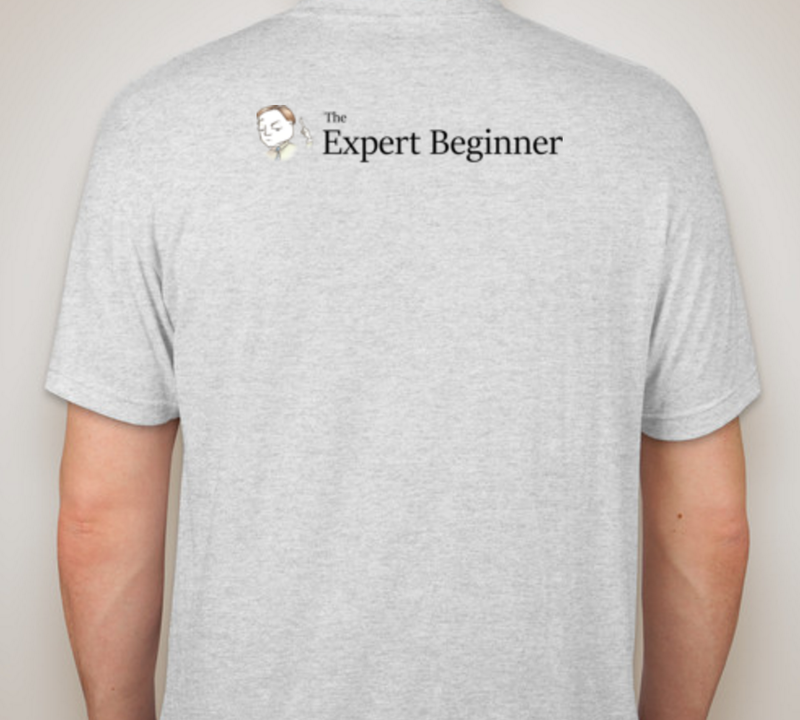 Thanks for signing up, and, yeah, I too was late to the comfy T-shirt party. Better late than never.